Being a successful technician means that you have options in your lash business to suit practically everyone. As amazing as lash extensions are, they may not suit everyone and if you don’t want to loose the client to the salon down the road, you need alternatives. 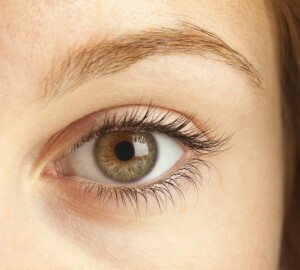 Lash lifting is a fantastic alternative for clients that don’t want lash extensions or can’t have them for some reason. Lash Lifting completely transforms the eyes without the use of mascara, eyelash curlers or false lashes. It relieves heaviness around the eyes and can take 10 years off of your clients. They will love you forever! This is for all lash technicians wanting to be able to offer all the professional treatments of a lash bar. Being a lash professional involves being able to work with all sorts of people, not just those wanting eyelash extensions, but anyone wanting a treatment that will enhance their eyes and eyelashes. By offering lash lifting services you will win more clients, clients that would not dream of having lash extensions, but would like to enhance their lashes. You will have the opportunity to offer something to ALL of your clients, not just a small percentage. As much post training support as you need. Easily grow your sales with the support of AHFrancis extremely high quality marketing materials. They will enjoy beautiful lashes for up to 6 weeks without top ups of any kind! Saving clients valuable time with their beauty routines – simply wake up and go! Issuing your Diploma. The Ellevisage Diploma (approved by AHFrancis) is accepted by the Guild. The live skills workshops are led by Ellevisage trainers (approved by AHFrancis).